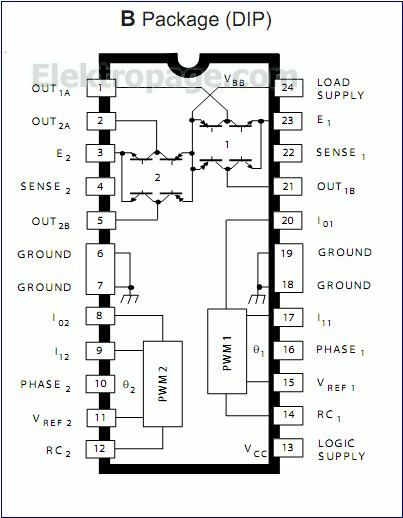 The UDx2916 motor drivers drive both windings of a bipolar stepper motor or bidirectionally control two DC motors. 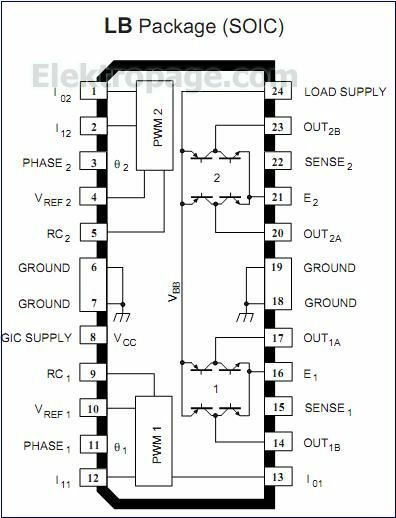 Both bridges are capable of sustaining 45 V and include internal pulse-width modulation (PWM) control of the output current to 750 mA. 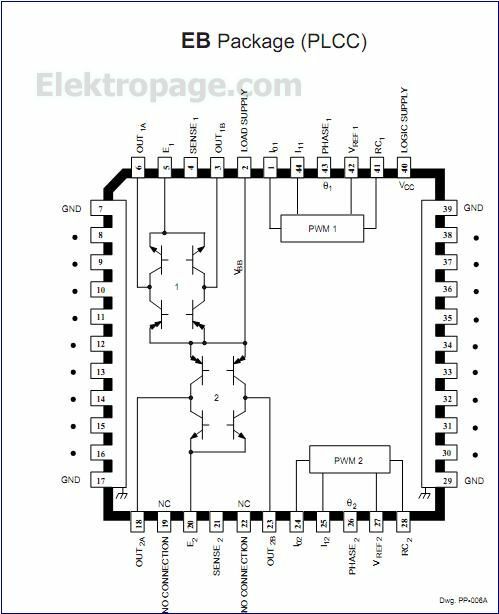 The outputs have been optimized for a low output saturation voltage drop(less than 1.8 V total source plus sink at 500 mA).